Farmers really need to invest in their people skills as well as their machinery, according to speakers at a recent Crediton Milling meeting. All businesses thrive by getting the most from their staff – but working with family, as many farmers do, can make people management more difficult. 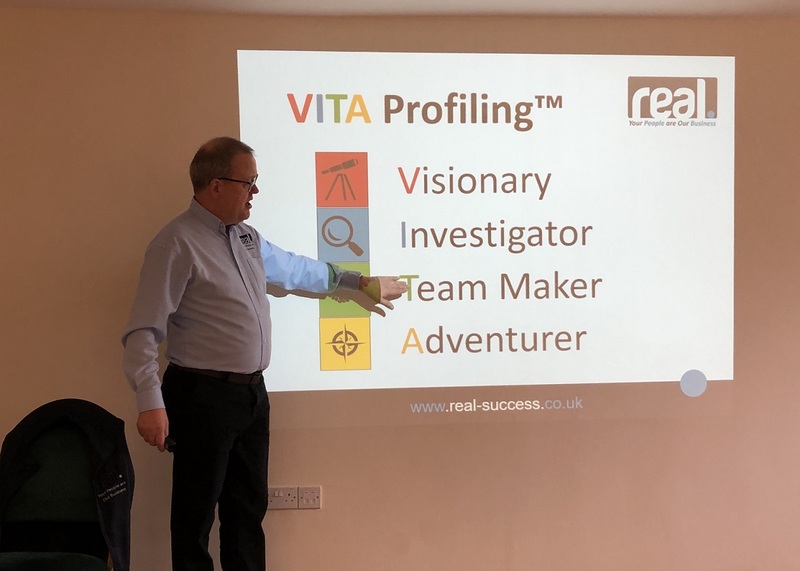 According to Paul Harris, managing director at Real Success, the first step is to categorise your own personality and the personalities of those around you. He introduced the VITA profiling method – which stands for Visionaries, Investigators, Team Makers and Adventurers. Visionaries are the most common in agriculture – they are the leaders, they are decisive, but they can come across as blunt. Investigators like to research and make informed decisions, they don’t like to be rushed into a decision. They can come across as critical. Team Makers like to keep the peace in a team and work in the background. They don’t like confrontation and can come across as hesitant. Adventurers – the minority in agriculture, they are creative, energetic and full of bright ideas. These are the most likely to leave the farm if they don’t feel their ideas are being heard. A team consisting of all these personality types is good, however it is important to know how to talk to these different personality types. When speaking to Visionaries you must be direct, quick and straight to the point – they are results focussed and look at the bigger picture, says Mr Harris. To Investigators speak slowly, precisely and be sequential – use logic, reasoning and detail. Team makers like to be spoken to softly, warmly and calmly – they care about feelings and people and need reassurance. When speaking to Adventurers speak quickly, smile and be animated – they like possibilities, ideas and uniqueness. Managing staff involves giving feedback, either to praise good work or seek an improvement. According to Mr Harris, feedback must be: Balanced, Observed (ideally by yourself and not hearsay), Objective (non-bias), Specific and Timely (not months after it has happened). Intent –What do you want to achieve?